Lots of older woman ask us to do PGS in order to improve their chances of getting pregnant after IVF. This is because the embryos of older women have a higher risk of having chromosomal problems ( such as Down syndrome), because their eggs have aged. In order to check which embryos have a normal chromosomal complement , we use the latest genetic technology for aneuploidy screening called NGS ( next generation sequencing) . 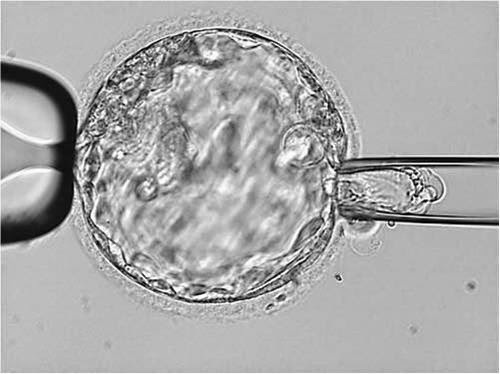 This allows us to test all the 23 pairs of chromosomes in the embryo, so we can transfer only the normal embryos. PGS can be quite complicated process, and there’s still a lot of confusion about the details. For one, PGS requires a combination of 2 complex procedures and 2 specialty teams – the IVF lab and the genetic specialists. Often, the IVF doctor may not understand much about the genetic testing which is needed, just like the genetics lab may not understand much about the IVF process. This means that often the right hand does not know what the left hand is doing , which adds to the stress levels for the poor patient. We do an IVF treatment cycle for you.